​#Forest #harvester system management through Interpine’s ForestPHD #STICKS Cloud Service. 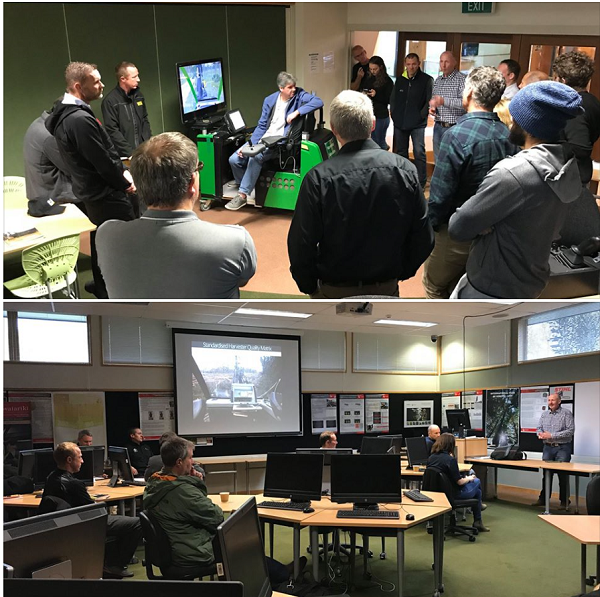 We are hosting an industry user workshop today at @ToiOhomai Forestry School in Rotorua. With some 20 million m3 of wood supply in STICKS over the last couple of years, 58,000+ StanForD PRI files, and over 300+ machines now connected and downloading on a regular basis it is now an industry standard for harvester information management throughout the industry. STICKS and linked with #SilviA 7 for APT file creation enables cross platform forest harvester management. Our team also continue to support the @ToiOhomai Forestry School on the development of their harvester school for training the next and current generation in this new technology.